Fermilab staff have divided the natural areas of the 6,800-acre campus into more than sixty discernable units. This was done to separate habitat community types, for logistical reasons, and to better monitor plant and wildlife community recovery over time. Dr. Robert Betz began plant surveys of the Fermilab prairie plantings to track how successful the project was over time. Since then, staff have increased the acreage and habitats in which botanical surveys are carried out. Plant surveys are prioritized in LMUs burned within the previous burn season and each LMU receives at least three thorough surveys per decade. Each survey is a random walkabout covering most or all of the LMU during different parts of the growing season. Plant species are identified and approximate abundances are determined. Surveys are critical to land management efforts as they 1) provide the data for floristic quality index calculations, 2) locate rare plant species, 3) find seed collection spots for abundant native plants, 4) identify invasive species as they begin to establish and 5) supply the abundance values of each species thus allowing customized seed mixes to be made for the LMU. Each plant species has been assigned a numeric rating, referred to as C-value, ranging from 0 to 10. The values used in the Chicago region were assigned by late-botanist (and friend of Robert Betz) Floyd Swink and G. Wilhelm of the Morton Arboretum. The value 10 is used for the most conservative and rare species and the value 0 indicates a weedy species. Based on these ratings Swink and Wilhelm introduced a simple equation to determine the value of a natural area. The result of the equation is often referred to as Natural Area Rating or Floristic Quality Index (FQI). The FQI is the average C-value of the native plants observed multiplied by the square root of the number of native species. 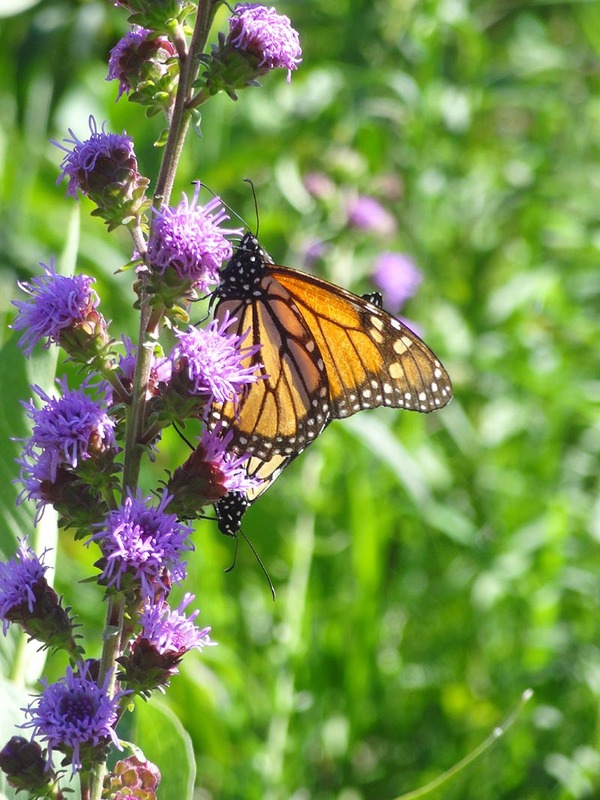 Swink surveyed thousands of natural areas around the Chicago region and stated that less than 0.5% had a floristic quality index greater than 50 because of habitat fragmentation and degradation. The goal at Fermilab is to first attain and then maintain a minimum FQI target of fifty (50) in all land management units in active habitat restoration. Staff have analyzed four decades (1975-2015) of prairie plant survey data and found that the number of native species and floristic quality index increased over time in most plantings. As Fermilab staff and Fermilab Natural Areas volunteers continue to restore remnant savanna, woodland and forest communities, FQI measures also increase rapidly. These simple metrics help determine if ecological land management efforts are successful. At Fermilab, plant abundance data, collected during annual surveys, is used to create custom seed mixes for each LMU. Seeds of native plants are collected from across the site from May through November from as many as 200 species. The collected plant material is processed by volunteers using hammermills and fanning mills, screened by hand if necessary, and mixed according to prescribed percentages given by staff. Seed is then spread by volunteers and staff in winter across many acres of prairies, woodlands and wetlands. These species evolved to need several months of cold stratification and many cannot germinate without it. For uncommon or absent plant species, Fermilab participates in an active seed exchange program with local Forest Preserve Districts, Park Districts and other groups. This informal trading system increases the plant diversity at Fermilab but also across the region. These seed trading partnerships are critical to keep local ecotype plant genetics robust. Fermilab also donates bulk, machine-harvested prairie seed to schools, religious institutions and other not-for-profit groups. Since 1993, Fermilab has donated prairie seed to over 40 schools for their prairie restoration projects to be used as an outdoor classroom activity. Management advice is also given to teachers involved with school prairies and natural areas. Fermilab participates in Plants of Concern: a rare plant monitoring program organized by the Chicago Botanic Garden. The four species monitored here are the savanna blazing star (Liatris scariosa var. nieuwlandii), single-flowered broomrape (Orobanche uniflora), goldenseal (Hydrastis canadensis), and white lady’s slipper orchid (Cypripedium candidum). Examples of other rare plant species managed for conservation include blue ash (Fraxinus quadrangulata), kingnut hickory (Carya laciniosa), and puttyroot orchid (Aplectrum hyemale). Savanna blazing star (Liatris scariosa var. nieuwlandii) is found in the oak savannas at Fermilab. Each year, volunteers monitor the population numbers for the Chicago Botanic Garden’s Plants of Concern program. Photo credit: J. Hooymans.